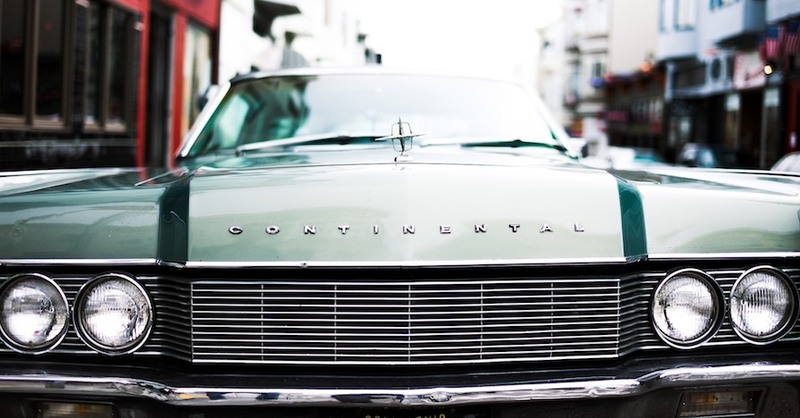 So there you are, just cruising down the highway, rocking out to your favorite tune on the radio, having a good old time, everything is right in the world. Being a good, alert driver, you glance down to check your gauges; gas good, oil pressure good, volts sure whatever halfway between 12 and 16 means. Then you see that the water temp gauge is running a little high. It isn’t overheating, but enough to give you that tingly feeling in your chest; after all, you are 1000 miles away from home in the middle of the Arizona high-desert. After a few miles, the dash lights up orange with a flashing warning “Low Coolant”. You see the sign for the next gas station and pull in, and that’s when you catch the faint whiff of hot antifreeze. You hop out and see a small puddle forming under the engine. 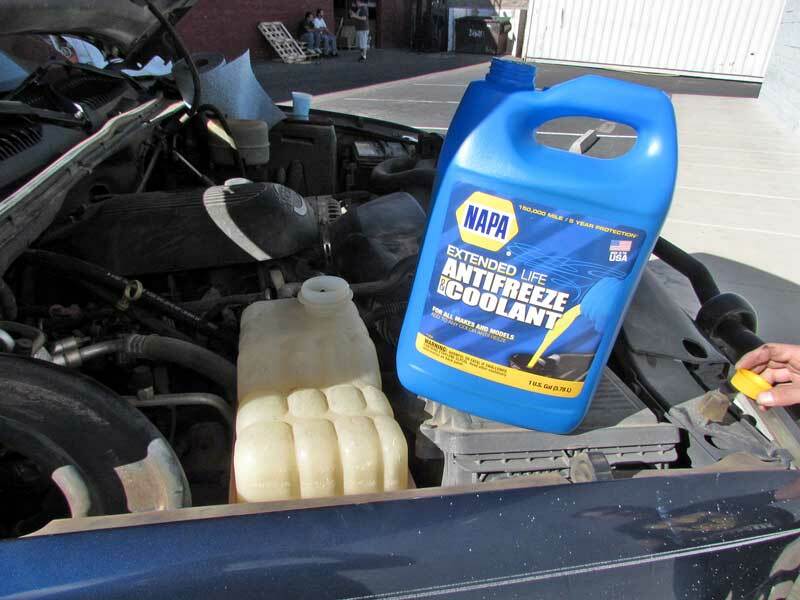 You already know what it is; it’s the lifeblood of your truck’s engine- the coolant. Luckily, you always keep a couple of jugs of water with you for these situations. 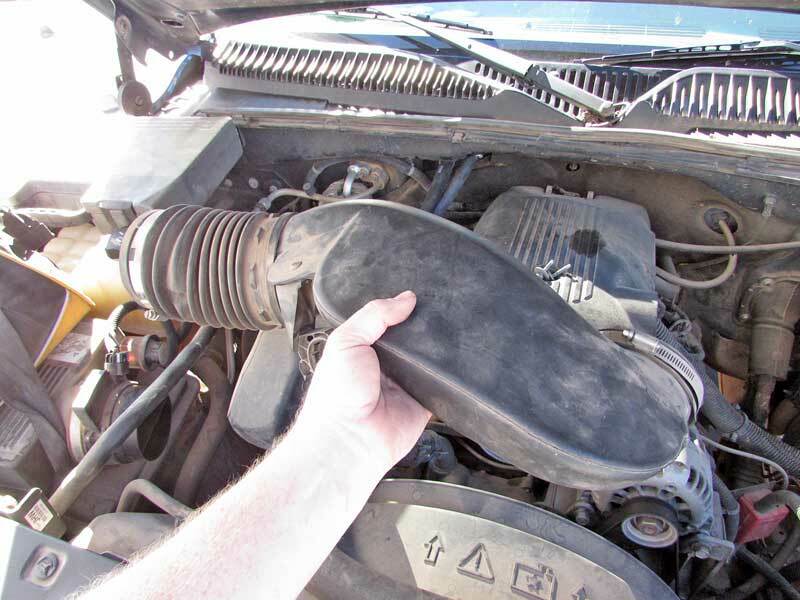 As you crawl under the car in the parking lot of the gas station, you see a small flood of water pouring out from under the engine, you check the hoses, those are fine; you look to see if the leak is coming from the water neck, nope. Then you spot it- the weep hole. Great, not an easy fix. 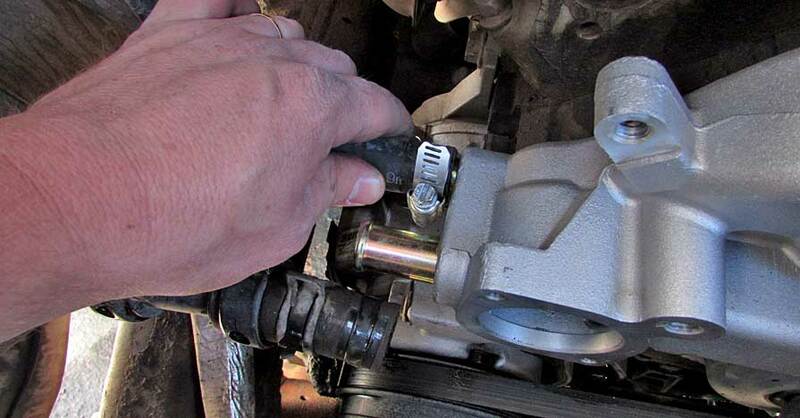 Your road trip just went from fun to roadside repairs. 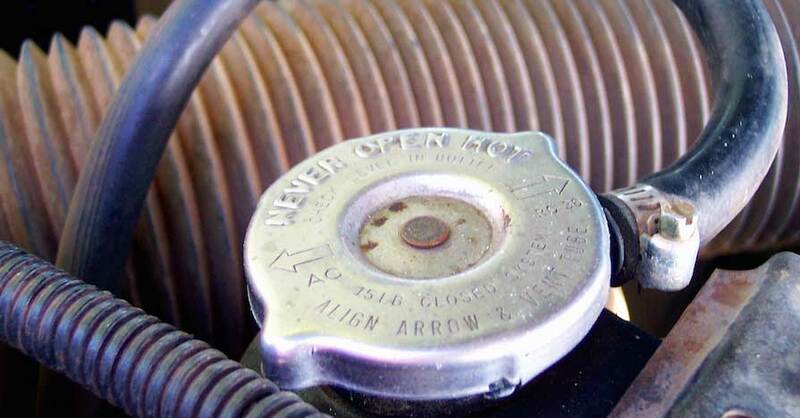 The internal seals of the water pump are shot. 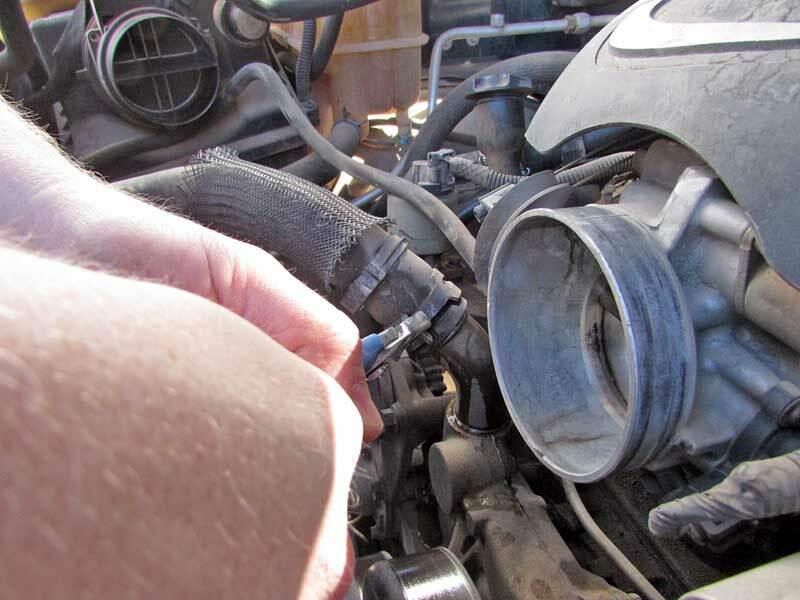 When the engine is running, coolant leaks, when the engine is shut off, it pours out. Luckily, the pump is functional for the moment. The local NAPA store in this town is closed late on a Saturday night, so you have to keep moving. Refill the jugs, head on down the road with one eye on the water temp. This is exact situation we recently faced on a cross-country road trip. Luckily, the water pump did not fail, it maintained function throughout the first leg of the trip. 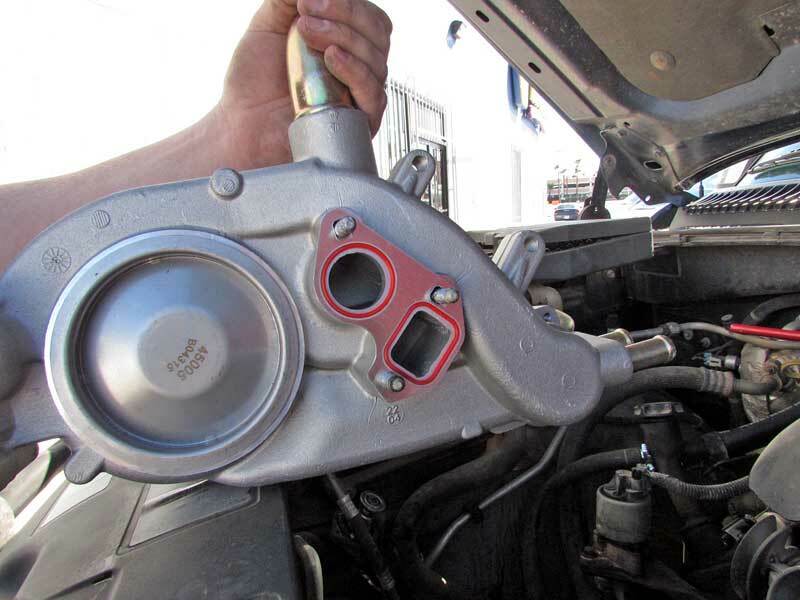 We hit the closest NAPA Auto Part Store, in this case, NAPA Auto Parts on Valley View Rd in Las Vegas, NV, and picked up a new water pump. The store allowed us to install the parts in their parking lot and even let use a couple of specialty tools that we didn’t have on hand. We had the rest of the tools we needed in the travel tool box, if you don’t have a travel tool box, you need to put one together. A lot of effort goes into swapping a water pump. We’re not going to walk you step-by-step through the entire repair, but we want to give you an idea of what kind of work is involved whether you choose to DIY or have your local NAPA AutoCare do it for you. 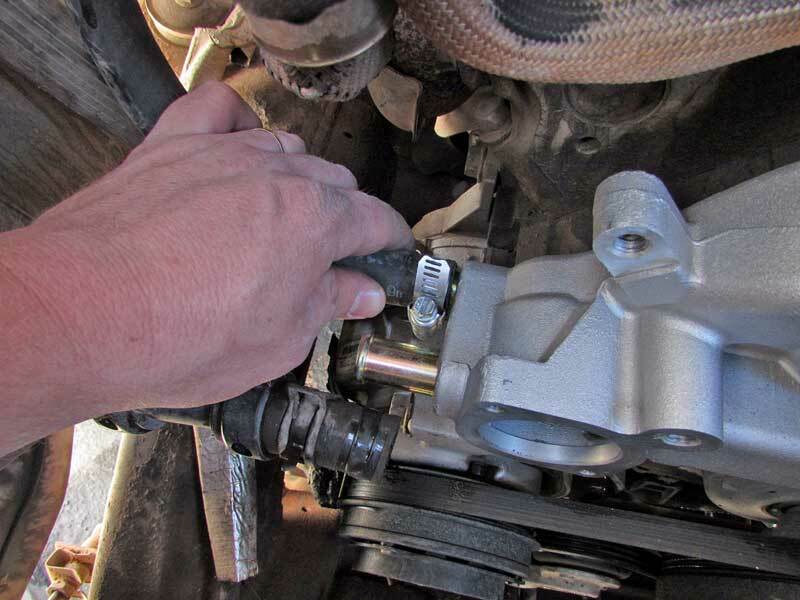 Regardless, you’ll have a better idea of what kind of work a Chevrolet/GMC truck water pump replacement requires. 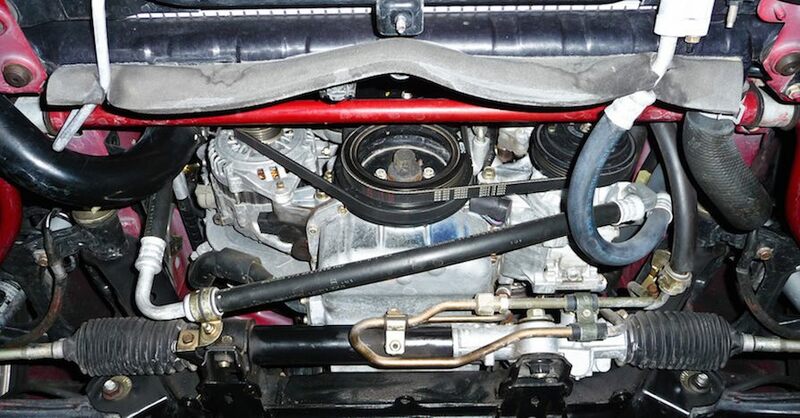 First, the air box and air inlet hose are removed to expose the upper radiator shroud. Then you have to get the fan shroud out of the way. Next, all the hoses need to come off the old pump. 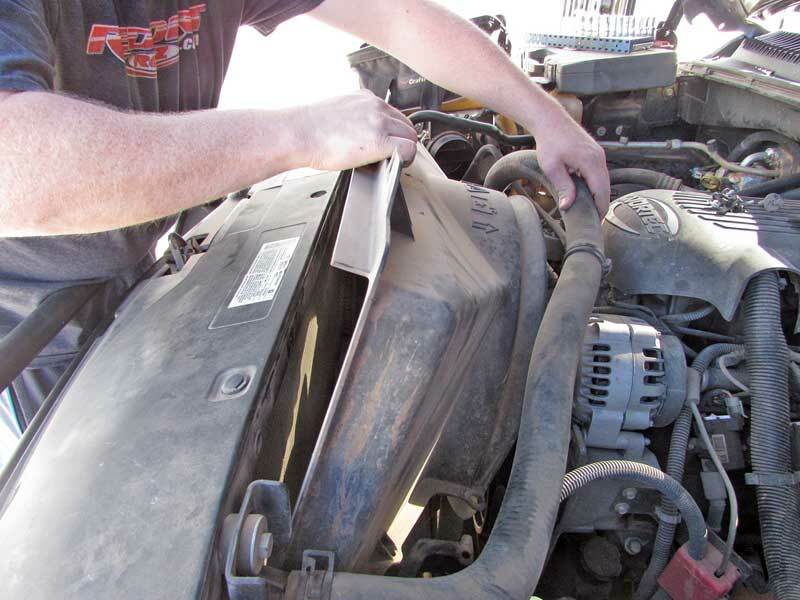 Taking off the fan requires a special tool, which your mechanic will already have or you will need to buy from your local NAPA. 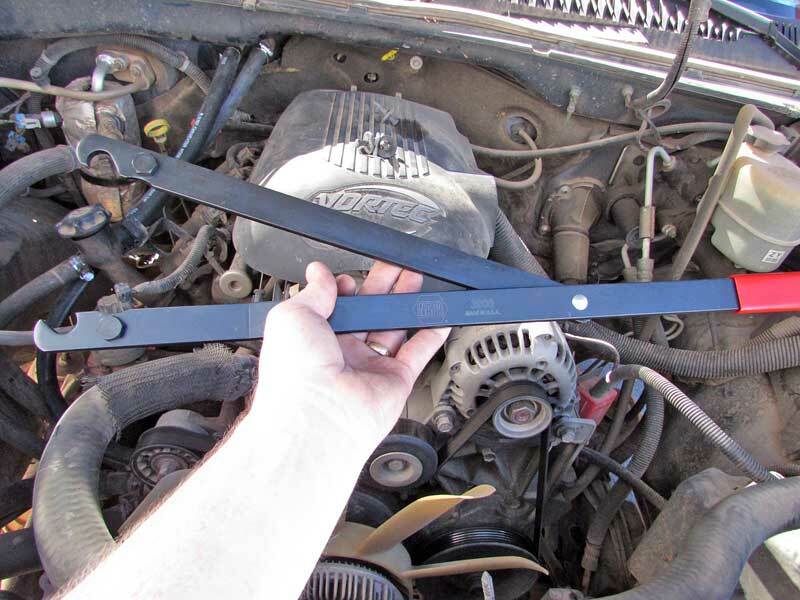 The serpentine belt comes off next, then it is on to removing all the bolts that hold the water pump in place. Here is where experience or a good shop manual pay off. 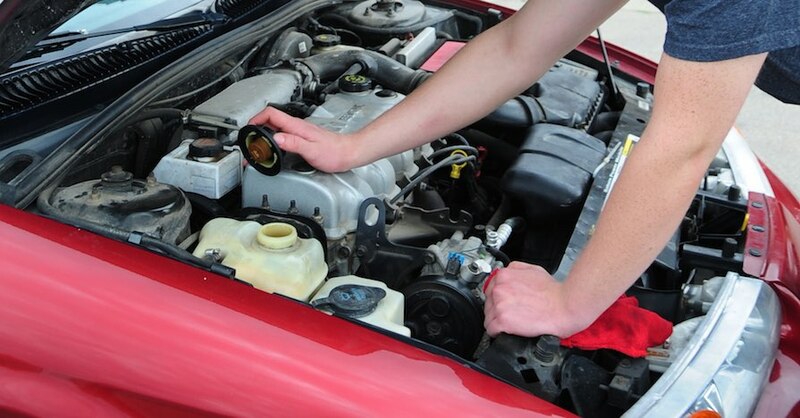 Unfortunately water pump bolts are notorious for breaking, so care must be taken. This is one step that may be best left to the professionals, because if a bolt snaps in the block things get a lot more complicated. The old water pump gets tossed and the new water pump gets prepped for installation with fresh gaskets. Now everything goes back on in the reverse order that it came off. Once everything is back together it is time to top off the coolant tank and bring the engine up to running temp before topped off again. These kinds of emergency repairs can happen to anyone at any time, so be prepared and don’t get caught off guard. 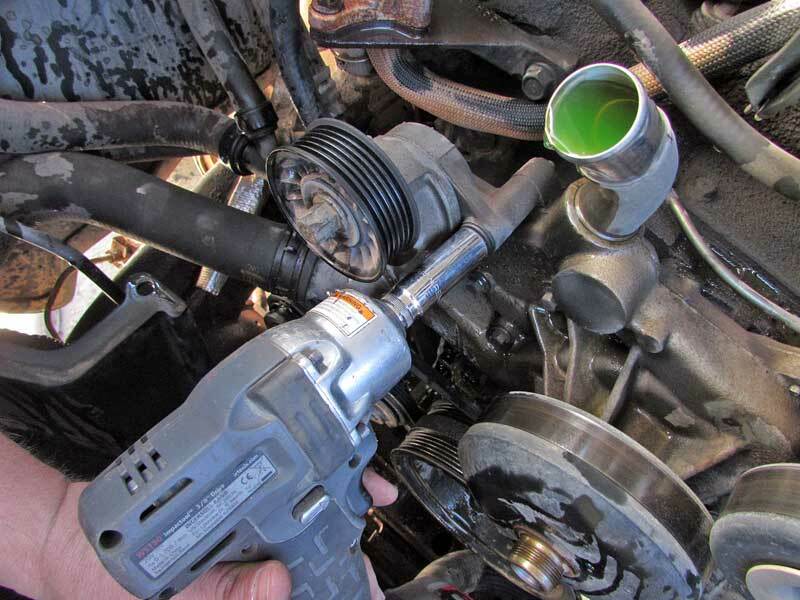 Now that you have an idea of what it takes you can decide if this is something you can tackle on your own or let your local NAPA AutoCare expert handle for you.